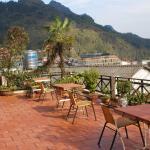 Worth staying at cat cat view hotel in Sapa! Stayed with a friend at this hotel for a night. 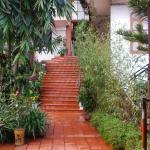 -can leave our backpacks at lobby when we check out in the morning (good if you're leaving sapa in the afternoon, because train from Lao Cai to Hanoi is usually at night and bus from Sapa to Lao Cai leaves at around 5pm). -wifi is better at lobby area than the rooms. This hotel has some of the most amazing views with a rooftop restaurant and garden. The room was clean and the price great. I didn't go with their local guide but I talked to her a few times and she had a great sense of humour. Thr staff were very friendly and helpful. This hotel has nice view from the room. Its convenient to walk to town's center. The staffs are friendly and helpful. Room is clean but quite small cause furniture is large. I really enjoy the morning when going to 7th floor and try Sapa's cuisine. 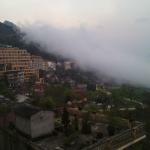 Not only a wonderful little village to explore, Sapa is beautiful. The staff at Cat Cat View were wonderful and very helpful! The room was clean and the staff were always available to answer any questions. Food at their restaurant was good as well. Lemon sugar pancake with vietnamese coffee was a great start to the day! - no heating in the rooms (aircon blocked), windows and dors are not providing much of isolation! - we had an electric blanket as the way to warm ourselves up. In Dec it was around 8-12 degrees Celcius during the day, humidity around 90%. So quite cold! Similar tempratures we had in the room! 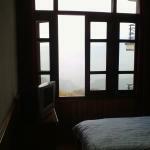 Also, the 3 days we were in Sa Pa were cloudy and foggy so we didn't really get any views. I imagine it can be a great location during the time when the outside temperature is much higher. 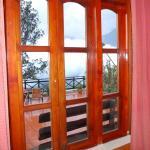 Room tip: If a room is not marked as providing a view then you will not have a chance to get a room with a view. So either you pay more, either you enjoy the views from the terras.